Looking to do a 5ish day mini honeymoon after our wedding in October. We'd like to do some days in the Caribbean to just relax after the stress of the wedding. We are doing 2 weeks in Europe in Spring 2017 for our true honeymoon, but that will be planned and organized like crazy. Can't be anything too outrageous in price, so just keep that in mind please. As you probably know, that's the middle of hurricane season, so plenty of people will tell you not to plan a trip then or buy hurricane insurance. I've been to Excellence near Punta Cana, DR and Couples Swept Away in Negril, Jamaica. Of those two, I preferred Excellence. I'm not crazy about the all-inclusive concept though. If you have any specific questions about either of those two, I'll do my best to answer from memory. Remember to book all your international travel in whatever name is on your passport (likely your maiden name in October). Congrats on the wedding and honeymoon plans. 5 days in the Caribbean is the full honeymoon for most people. I can't believe you're getting married. I feel old. I used to get all happy when the girlie would make a colonic appointment. That meant she was going to be breaking out the "fine china" soon. ohsix - I haven't heard great things about Jamaica recently. My sister liked Punta Cana... but I feel like it's the new Cancun - super trendy right now. ohsix - My sister liked Punta Cana... but I feel like it's the new Cancun - super trendy right now. Well, it was '09 when I went and I am a bit of a trendsetter. My parents used to go to Caribbean all-inclusives several times a year, but they've been doing the BVIs a la carte the last few years. If you are worried about Hurricanes why don't you go a little further south. Panama, Belize Honduras, Aruba or the Corn Islands. They are probably less likely to be effected if there is a hurricane. 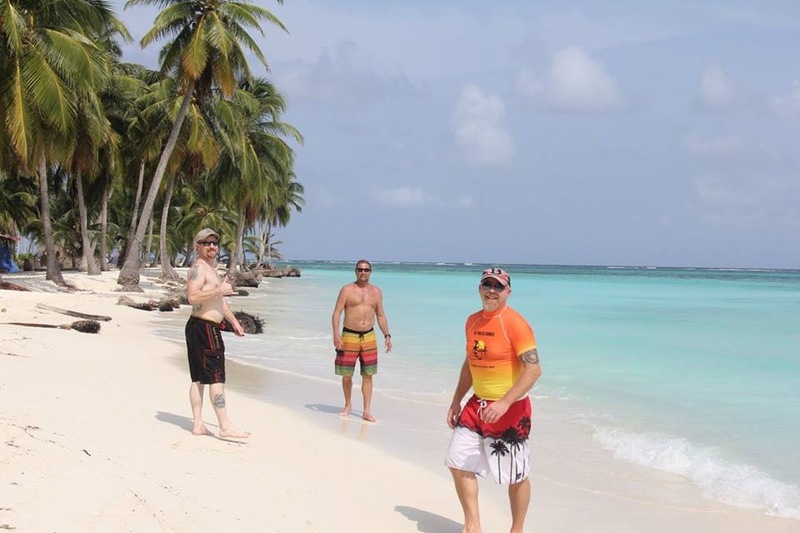 We just got back from sailing through the San Blas in Panama. Most amazing islands I've ever seen. I've been there done that with the crowded all inclusives. For me it's all about remote and uncrowded. 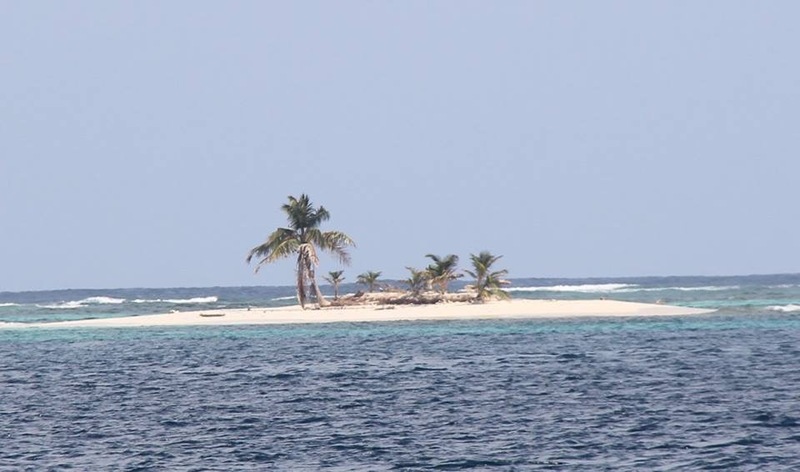 Palm Island in the Grenadines, or one of the small islands in the BVI would be great. Depends if you want to be one of 1000 people on the beach or one of 20. Aruba is a good idea for hurricane season. Generally out of the path of storms and they have some decent all-inclusive stuff that is reasonable. I've been there a couple times, it's a nice island, one of my parents favourites as well, they used to go there almost every year. Bam, not sure where you went in the BVI, but we looked into that and it was pretty expensive. I'd probably try that island if I found anything reasonable. Basically we wanted the same thing, not 1000 people on the beach. Ended up going to Providenciales which I recommend 1,000%. The BVI isn't cheap, although the Turks isn't cheap either. I would have thought the Turks and the BVI would be similar in cost. I've never been to the Turks, a buddy has a place there and it's big dollars plus it's not all inclusive. There are so many price points for those types of holidays. It depends what you want. If you want 5 star with the masses you can find lots of places for pretty cheap. If you want small 3.5-4 star with a quiet beach and island there's lots of those as well. I did't love the DR, I've only been once though and just thought there are so many other places in the Caribbean that have the same beaches and resorts, and if you go off the resort or walk the beach at night you don't feel like you might shot for 20 bucks. Flying out of Miami has to be cheap. I'd actually wait till three of four days before you leave and just plug the google flight calculator and see where the best deals and weather are. If you're not going for a specific reason ( I kiteboard) so it's harder for me as I'm picking a spot based on beach wind etc. If all you want to do is drink, hang out on the beach and ..... Then does it matter where you go? Bambam - Any recommendations in the BVI then? ontrider - Where do you stay when you go there? Bambam - Turks is certainly not cheap. That would be ideal, but the pricing of it is nutso! I have a hard time justifying going to the islands for a honeymoon since we live in freakin Florida where I can go to the beach every day if I wanted to. I'd really like to be somewhere that has a unique beach and has some different flare. We've thought about just doing a few days in Napa instead of doing an all inclusive place, but Napa in October is pretty pricey, so not sure it makes sense. Dad is gifting us 100k American Airlines miles as part of our wedding gift, so anywhere that American flies (preferably out of Ft Lauderdale or West Palm over Miami) I am game for! We stay at The Sands at Grace Bay, it's not all inclusive though. They have a restaurant right on the resort (Hemmingways) which is decent and reasonable and there are other options within walking distance for lunch and dinner. My cousin also lives on the island, so there are some added perks there. Good point though being in Florida, it's not like you need a "beach" vacation. I forgot about that. If I lived in Florida I'd probably do something short and cheap to tide me over until Europe to be honest. Ever looked at Costa Rica? I've been to St. Thomas, USVI twice and there are tons of spots to be at there that are super cheap compared to BVI. You can still get to some of them via a day cruise if you want to go that route. Neither of the places I stayed were all that but I wasn't there to stay in the hotel the whole time and they were passable as all-inclusives. I guess it depends on your standards but we had no complaints about accommodations or the food. It has been 12 years since my last trip so I'm not sure my info on which places I stayed is all that relevant anymore. But we've looked at returning soon and there are lots of options. I'll look up my BVI place. It might not fit your budget though, it was kind of over the top. We had a float plane pretty much at our disposal to drop us off at a bunch of different islands. We spent a day on Sir Richard's island while we were there as well. He wasn't there though. If you want a unique vacation and something you'll remember you could do a sail boat trip. It's my new favorite holiday by a mile. I'm sure sailing through the Bahamas would be great as well and would be super close to you. That way you aren't really on a beach vacation, more of a snorkeling, swimming, SUP sight seeing vacation. 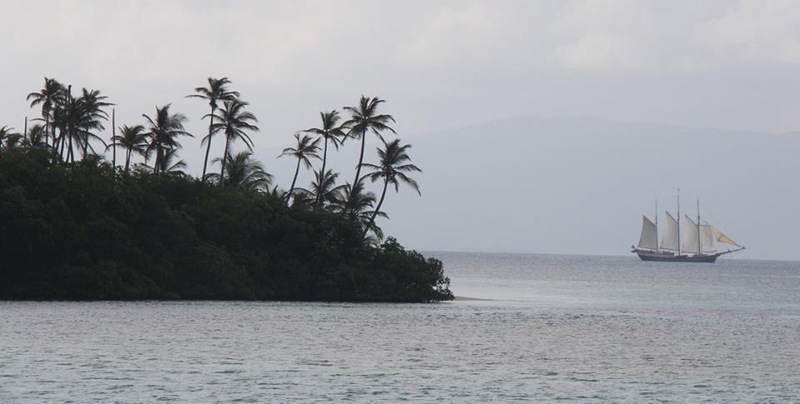 You're not really in the sand unless you go to the islands. I took a trip to Costa Rica and stayed at Casa Chameleon http://www.casachameleon.com last year and was probably one of my favorite "beach type" trips I have been on. A bit of a pain to get to but a perfect place if you want to do very little and have all meals prepared to your taste. The staff was unbelievably friendly as well. Feel free to pm if you want more details. Place looks great. I looked at the our BVI place Aubs. Not going to be for you. Mal Pais (where Casa Chameleon is) isn't really kite-territory. Only Lake Arenal and Bahia Salinas (up north) are. htown - A few people have suggested Costa Rica and they say how affordable it is. I'll start doing more research on it and will check out the place you suggested. Finding a beach vacation when you live in Florida isn't the easiest. I love Napa. I'll take it over the beach any day of the week. goofy - Here's the problem with Napa in October. It is prime season and so expensive. And, if I'm going to go there, I'm going to spend a lot in shipping wine home because I'm going to really plan it out well. As the planner in our relationship, I thrive off of a perfectly organized schedule. The fiance wants to make sure I don't do that for our immediate honeymoon, as I'm pretty much planning the entire wedding. Europe will be planned out down to the minute, so for this one, relaxation is key. Hey Aubs for any info about Costa Rica shoot me a message. Look for flights to Liberia (LIR). For such a short trip you don't want to waste time flying into San Jose. Anyway, if I can be of help let me know. October is the tail end of harvest season in Napa. Lots to do, but extremely busy. Staying in town during that season can be extremely expensive (300-500/nt). By the time you add everything up, you could probably go to a pretty damn nice spot in the Caribbean or Costa Rica. Ah. I missed the October part for Napa. I would avoid it as well. we're headed to st. lucia in april. what's your budget? outrageous is relative. aubs, i saw your fb post about all-inclusives. our honeymoon in st. lucia was fantastic. we got home on tuesday. we stayed at calabash cove for a week. it is in gros islet, just north of castries. we did the all inclusive, and it was worth every penny. the resort is a sit by the pool and chill type of resort. it's small, only 26 rooms. we stayed in a swim-up room. the pool bar is a lot of fun, and we spent a lot of time there. the bartenders were great. the beach is very small but nice. they have paddle boards and kayaks for guests to use. the restaurant was phenomenal. we are not fancy eaters, but it blew our expectations away. they have different specials every day along with a small permanent menu. apparently, the restaurant is one of the best in st. lucia. it's not the typical resort food that i've experienced before. if st. lucia is on your radar or if you have any questions about the resort, let me know. we only left the resort once during the week. that was to see the friday night street festival, which was fun. definitely do the helicopter from vieux fort up to castries. my new sister- and brother-in-law were at one of those excellence resorts in mexico last october. i don't remember which one - want to say riviera. their only complaint was a sewer smell in their room, but they were quickly switched to another room. other than that, they had nothing but good things to say. Everyone really likes those damn Excellence ones! Can't find a website or anything with sales. Do you think a travel agent would save costs? I know not many people use them, but some people do say they get better deals using them. We used Carey at beachbumvacation.com. I don't know if we saved any money, but she gave us a lot of suggestions for places that we wouldn't have considered on our own. That's why we ended up at the resort we did instead of sandals. It can't hurt to see what an agent comes up with for you. I am wanting to plan a trip somewhere this fall. I was thinking Cancun, but after reading this, Costa Rico is on the table. I don't know anything about CR though. Is it sketchy? Safe to leave resort, etc. One of the guys on a friend's trip to Cabo ended up in a bathtub with a gun to his head so I'm a little sensitive to the safety right now. I get free flights and condos so price really isn't an issue (just got back from a semi free Hawaii trip yesterday ). Is it sketchy? Safe to leave resort, etc. One of the guys on a friend's trip to Cabo ended up in a bathtub with a gun to his head so I'm a little sensitive to the safety right now . You have to tell this story. That's nuts & I've been thinking of a trip to Cabo. Hell, I have always assumed Cabo & Cancun were about as safe as it gets(Mexico wise). Going to bump this up again. We are just beginning to figure out where the hell we want to honeymoon. Right now its looking like Costa Rica,USVI, etc. Pretty much open to anywhere beachy and would prefer all inclusive. Open to opinions on best value etc. We did the D. Republic this March. It was a great trip but we will not be going back. Flyzone is in costa rica. He can probably point you in the direction of the better resorts. I'm sure you saw a bunch of the pics I posted last week. We did not do AI as we have not cared for it in the past (whether it be on a cruise or on land). Depending on where you go there may be better options off resort. That trip was right about 3500 all in for a full week. Rental car, food, room, flights, etc. Accommodations were 5 star - and I don't mean 5 star by Mexico standards. That resort would rate 5 star here. Hell, the president of Mexico (Enrique Nieto) stayed there one of the nights!!! For that 3500 we could have chosen a lot of AI options - would have gotten us in to the higher end of them - but we were much happier doing it euro plan style. We ate at some really good restaurants off site, as well as really good ones on site. We are not huge drinkers - we prob had 2-3 drinks each in a full day. She's not around WB much these days, but Bethany was there just a few days before us. She spent 2 weeks there and recommended a handful of really good spots. She's been a number of times before that as well. Cabo is perfectly safe if you aren't looking for trouble. I have no idea what Churchy's bud did to end up in that situation, but know that it is very out of the ordinary. Very Americanized (not unlike Cancun, or parts of CR). Hell, I had a nice laugh every time we passed Starbucks, Costco and Home Depot. Just know that places like Cabo or Cancun aren't super cheap to visit anymore, so expect prices to be not that far off what you'd pay for things at home.